Edith Wharton (1862-1937) was a Pulitzer Prize-winning American novelist and short story writer. She was nominated for the Nobel Prize in Literature in 1927, 1928 and 1930. Among her most popular and terrifying tales are the many masterly ghost stories which she wrote in her early career. "Afterward" is a dramatic story of the most mysterious ghost of all. When Ned and Mary Boyne move to a remote and unrenovated manor house in Dorsetshire, their list of desired features includes a resident ghost. Perhaps no author can surpass Wharton in delving into the darker corners of the feminine experience. Four of the five stories in this collection are premised on the lingering horror engendered by the harrowing experiences of women ensnared in oppressive circumstances or by their own demons. The fifth, "The Eyes," has more to do with the repercussions on men who touch the lives of women living in silent agony.The conclusion to this tale is particularly unexpected, and it was only after I thought about it for a while that it literally gave me goosebumps--true horror which relies not on gore or violence but strikes at the very core of our own existence. As always, Wharton's writing is superb and inexorably draws the listener into the gothic atmosphere of these tales. Each story has its own excellent narrator and wonderfully creepy music is employed at various points, enhancing the macabre theme. After reading Wharton's "The Duchess at Prayer," I looked for more examples of her ghost stories and found this excellent collection. 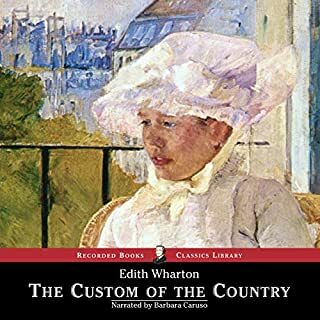 In the first tale, a young heiress inherits an estate, but before she can settle in to her new life there, she must master the situation involving the caretaker, "Mr. Jones." In "Kerfol," a man looks at a prospective property in northern France. There he is met with a pack of phantom dogs. Searching for an explanation leads him far into the past where he discovers a tragic love story. "The Looking Glass," has an aged Mrs. Atlee looking back to her youth when she was a masseuse to wealthy ladies. She is ambivalent as to whether she should regret or excuse "the wrong she did" her benefactor by involving herself in an occult conspiracy. "The Eyes" finds us in the midst of that old familiar favorite of Wharton and James: gentlemen at brandy and cigars telling tales. The ending is haunting, ambiguous, and likely to stay with one for longer than the rest of these stories. "The Lady's Maid's Bell," perhaps the best-known of Wharton's ghost stories, revolves around a frail private-duty nurse who finds herself caught up in drama and intrigue during what was expected to be a quiet assignment to care for an affluent, amiable lady patient. I loved the narrators, music, and selections. I certainly hope we will have more of her ghost stories in the future, presented just as well as these were. May you enjoy them as well. You really can't beat the classics for chills. What did you love best about Ghosts: Edith Wharton's Gothic Tales? I love Ms. Wharton's ability to set a scene. Most of us have never lived in a household with servants, or have any idea what that kind of household's routine's are, but within a few short "pages" she can get you right into the life of a lady's maid. What was one of the most memorable moments of Ghosts: Edith Wharton's Gothic Tales? I hate to write anything that would be a spoiler, but I love the way she essentially draws a word portrait for each individual dog. 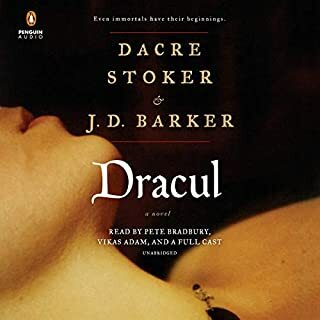 It seemed like there was a group of narrators, each narrator chosen according to the work, almost like a theatrical performance or a radio play. It was really really well done. If you like understated historically set horror or psychological thrillers, you'll really enjoy this collection. The narrators are perfect for the stories. I just wish it were twice as long. Mr. Jones is truly scary. The eyes was unclear and the lady's maid's bell has no ending and truly annoying. 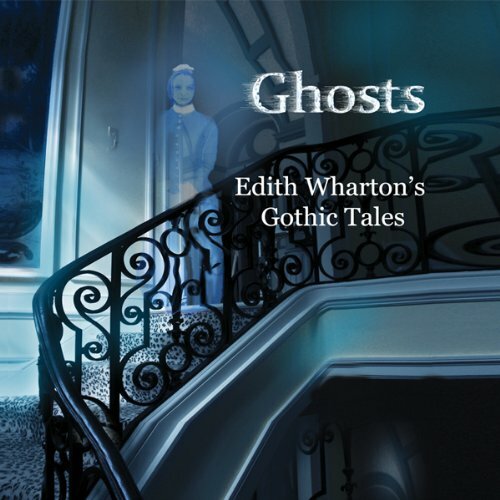 Would you listen to Ghosts: Edith Wharton's Gothic Tales again? Why? I would definitely listen to Ghosts again. It was a fun listen and I plan to share it with others. I like that the stories were short and the plots were almost innocent in nature. All I had to do was sit back and enjoy. 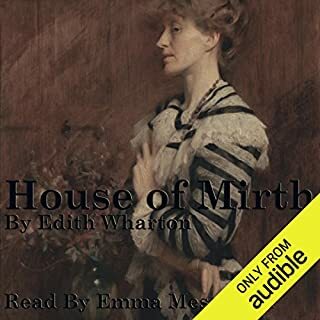 I have listened to Edith Wharton's classics before and she did not disappoint with her fun Gothic Tales. If you could take any character from Ghosts: Edith Wharton's Gothic Tales out to dinner, who would it be and why? If you are looking for a quick break from your normal reads, this is a great book to distract you. 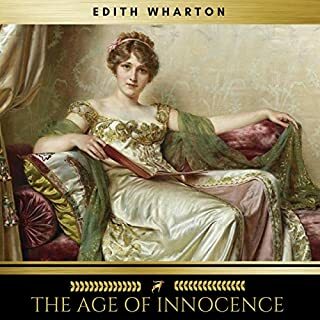 I am a big fan of Edith Wharton's work. This 1926 collection of short "ghost" stories, however, fails the reader of 2013. As is characteristic of Wharton's writing, the narration is understated, never veering into OMG territory. She gives the reader credit for having a brain. Unfortunately, she treads a well-worn path in each of these tales. The stories move slowly and the outcomes are predictable. 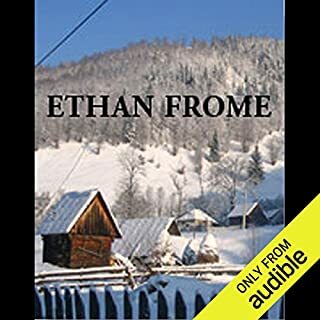 I had to force myself to hear them all through to the end, hoping that somewhere in the pack I'd uncover an "Ethan Frome" experience. 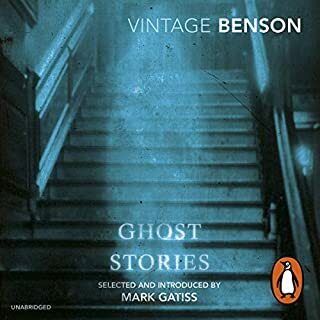 I would recommend any of this Pulitzer prize-winning author's other books or short stories, but suggest you leave this collection of ghost stories on the shelf. I like two stories out of the collection most, but all the stories were worth a listen.